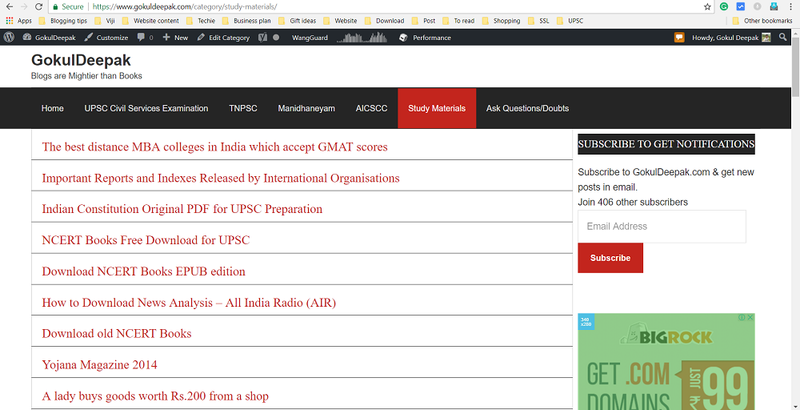 Here in this post, I have explained how to display only Title in Category page genesis like given below. I’m using Genesis Sample theme in explaining this method. Remeber this is the only free official theme so I have spent a minimum amount for a clean framework and customising each and every page according to my wish without paying for the child theme. In the above example, only the titles of the post are displayed. We can also customize the link color, or to display author name or not etc. For teaching this method Sridhar Katakam is charging $50. Let me share this for free which I have learned from reading many posts. Let us now see this step by step. * This file adds a custom archive page to any Genesis child theme. You can play with this CSS by changing colors in the title of the post or remove ‘display:none’ to show entry-meta. Entry meta displays post date, author etc. I was waiting for Android L for many days. when it was released I downloaded and installed without wasting time. But after Installing I hated this new OS. It was confusing and also a trouble maker. So now I want to downgrade from lollipop to kitkat for Micromax Canvas A1. It is easy to upgrade our Micromax Canvas A1 mobile from kitkat to lollipop but we can’t roll back to kitkat in a single click. we have to root our mobile to do so. I have read in XDA forum but It is not easy to understand. and so I had undergone lot of studies about each and every term and then found the method. Now here I’m sharing with you in simple layman language so that even a newbie can root your mobile and install Android 4.4 (Kitkat). STEP 1: Backup your Device (Contacts, Sms, WhatsApp to external SD card (Compulsory backup) and Backup External SD card to a computer or Pendrive (Optional Backup). If your current OS is Android Kitkat then Download this. Android 4.4 KitKat Super SU file = http://download.chainfire.eu/396/Supe… If that link is not available then download from Our Server. If your current OS is Android Lollipop then Download this. Android 5.1 Lollipop Super SU file= http://download.chainfire.eu/696/Supe… If that link is not available then download from Our Server. STEP 5: Power off the mobile phone. Press Power button and Volume + button at the same time so that to open bootloader mode. STEP 10: Connect your device and type ‘fastboot devices’ on the command. If the device is detected then you will get some hexadecimal numbers and fastboot text. If nothing appears repeat from step 3. Your device will reboot now. Then power off you mobile once again and then Press Power button and Volume + button at the same time so that to open bootloader mode. 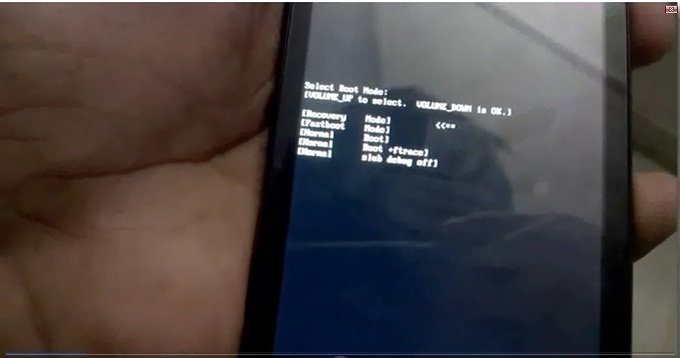 Connect your android device to PC if you have disconnected to reboot mobile. Success: You have successfully rooted your Micromax Canvas A1 mobile!! (We are two process ahead to downgrade from lollipop to kitkat for Micromax Canvas A1. STEP 1: Download CM11 (Download from our server). Paste it in root folder in SD card. STEP 2: Power off the mobile phone. Press Power button and Volume + button at the same time so that to open bootloader mode. STEP 6: Connect your device and type ‘fastboot devices’ on the command. If the device is detected then you will get some hexadecimal numbers and fastboot text. 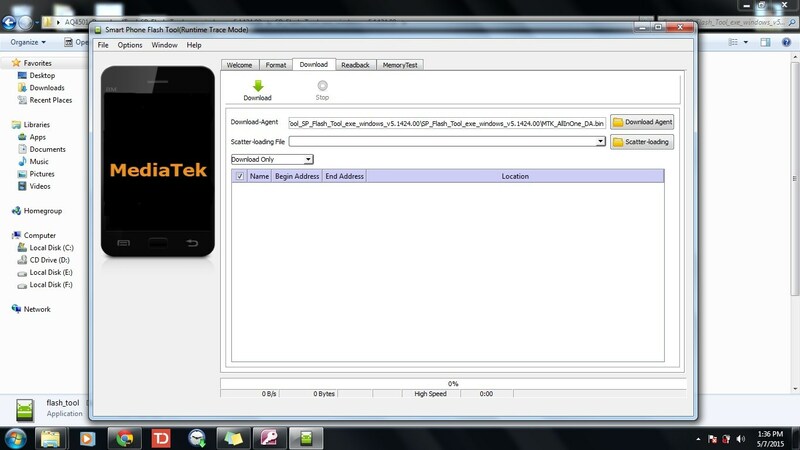 STEP 8: Now in your Micromax Canvas A1 mobile choose ‘Clear user data’ (Wipe Data / Factory Reset). STEP 9: After the wipe process completes, return to main Recovery menu. Success: You have successfully installed with CM11!! (Still One Process ahead to downgrade from lollipop to kitkat for Micromax Canvas A1. 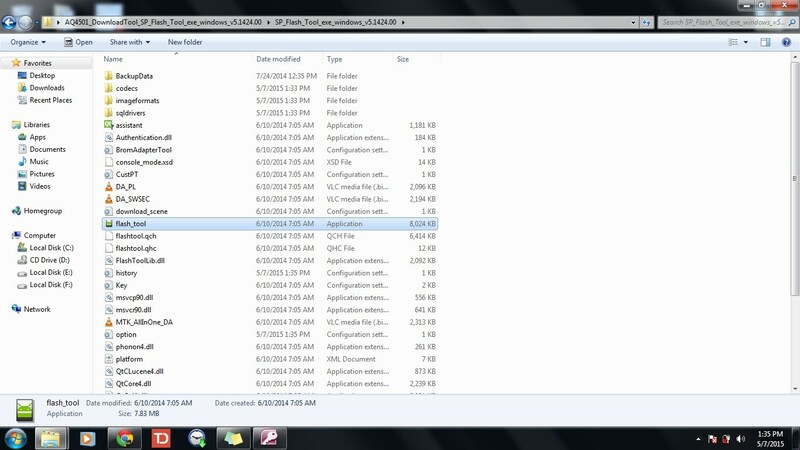 Step 1:Download SP Flash tool and Stock ROM and Extract both of these files. Step 4: Power off your Android Smartphone and remove the battery if it is removable battery. Step 7: Now a new window will appear to browse for files. go to extracted Stock ROM folder and any .txt file as shown in the picture below. as this is the scatter file the name of the file even contains the Same word so choose that scatter file.txt and click open. Step 8: Now click on Download button in the SP flash tool. Step 9: Now connect your Android mobile with the computer after removing battery from it. if it does not has removable battery then no problem with that too. After connecting press volume up or volume down button so that computer may easily detect the phone. 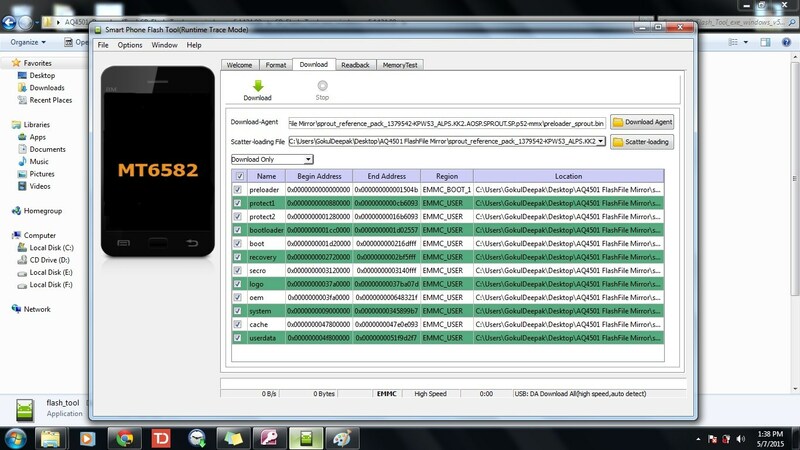 Step 11: Close SP flash tool application and disconnect android mobile from the computer. Success: Now we had successfully installed the Stock ROM. lollipop to kitkat for Micromax canvas mission is success. We had replaced our Micromax Canvas A1 Android lollipop with Android Kitkat. We can Stock ROM using SP flash tool. 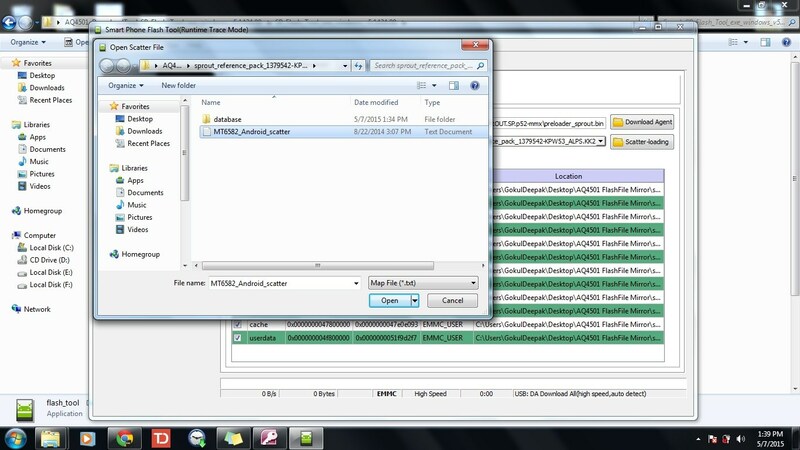 Here I’m explaining how to stock ROM using SP flash tool. Before that let us look at the brief information on Stock ROM, Custom ROM and what are all its differences. Follow the procedure given by me step by step. I have tried to explain everything in a clear way that a novice too could understand what to do and what is happening. But as every techie warns us before their instruction let me also warn, “Try this at home at your own risk”. We may have changed our ROM from Default android version to some other custom ROM and then feel irritated or insecure with those custom ROM and rush to come back to our Stock ROM or some of us may have upgraded from Android Kitkat to Android Lollipop with a joy and don’t know how to come back from Lollipop to kitkat after feeling the terribleness in lollipop ROM. What is the difference between Stock ROM and Custom ROM? There are two types of Android OS. Stock ROM and Custom ROM. Where Stock ROM is one which was developed by the manufacturer of the device itself. So the Stock ROM is the default ROM of the device and Custom ROM is where an extra ROM which can be flashed in the device which has required configuration. Success: Now we had successfully installed the Stock ROM. Micromax Canvas A1 (Android One) users got double treat as they can get both pure vanilla Android experience with Google’s stock ROMs, and assured third-party custom ROM releases such as CM11 and CM12 from the CyanogenMod team. So Now You can install CM11 in Micromax Canvas A1. The CyanogenMod11 (CM11) ROM is very good as it gives very light and fast experience with options to choose themes, trebuchet launcher, default file manager, graphical music player and more. Many users who are connected with internet got auto update of Lollipop. We will be enthusiastic for auto free update but after installing it we will be sad that lollipop is hard to use and not so attractive. Thats the reason many of us are rolling back to kitkat. but if you wish to install other than kitkat then you can choose CM11 without doubt as it also has same appearance and an easy to use interface. To roll back to Kitkat (Android 4.4.4) itself click here. Now here we are going to see how to install CM11 in Micromax Canvas A1 by step by step. The instructions given below is only for Android one users. especially Micromax Canvas A1 users as i have tried in that device personally. Charge your device upto 80% so that battery may not drain while flashing ROM. Backup all your contacts to google account or export .vcf file to memory card. Back up Whatsapp or any other messaging app to your SD card. If you are using applications like reminder or money lover backup those files too. After backing up all phone contents to SD card copy all files in SD card to computer so that even if there was any misshapen we won’t loose data and free to format out mobile and SD card. You can install CM11 or any other new OS in Android mobile only after getting root access for your mobile. Success: You have successfully rooted your Micromax Canvas A1 mobile!! Success: You have successfully installed with CM11!! Hope this post helps newbies to install CM11. If you find anything hard or contradiction just feel free to comment below. I was just a newbie when I rooted my device. XDA forum had the answer for how to root Micromax Canvas A1 which only an expert can understand. I did a lot of google and the found the answers. I’m writing each step clearly in this blog so that even a novice can root his mobile, That’s the reason why this post has a lot of steps. All the steps are very easy one. Noobs just excuse me and please skip known steps. Even Though there are many websites which explains about how to add floating facebook like box, twitter share box and google + box in blogger, I feel there was no clarity in any posts and also many failure rate was there. I’m not only posting this to share with friends but also to remind myself how I did it. You can put the code above right before the </body> tag of Blogger XHTML. The position of the floating sharer will be relative to your blog size. So, you have to doodle with the top and left amount of pixels. If you want to put it on the right, you can change the word leftto right on the CSS codes (the codes inside the <style> and </style>). You also can tinker and probably add another CSS styling to enhance the share buttons wrapper. 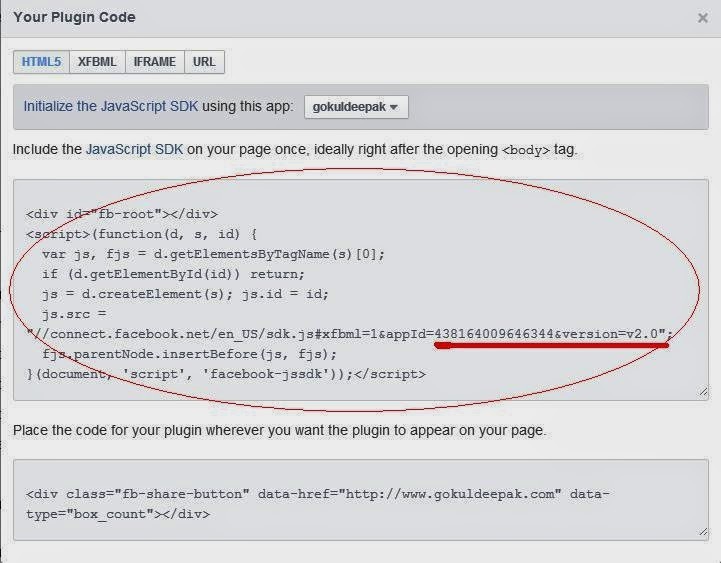 Even After using this code if facebook like box is not visible then it must be because of APP ID. Paste the text which was highlighted by me in the blogger by following this method.